Medical Expence will be reimbursed to those who had availed Nipah related treatment in Kozhikode and Malappuram districts as per the reports being prepared by the respective District Collectors. THIRUVANANTHAPURAM: The state government will reimburse the medical expenses of those who had availed of Nipah-related treatment in Kozhikode and Malappuram districts, subject to the report being prepared by the respective District Collectors, Chief Minister Pinarayi Vijayan said here on Monday. Chairing an all-party meeting on the Nipah virus outbreak convened by the state government, Pinarayi said that as there is a possibility of a second wave of attack, the Health Department has been asked not to take any chances and maintain its vigil in affected areas till the end of June. It was also decided that free ration kits will be provided from Tuesday to around 2,550 people from Kozhikode and Malappuram districts who are still under observation. While acknowledging the intervention made by ministers, MLAs, MPs, political outfits, social and health workers in the affected areas, the CM condemned rumour mongering being carried out by some via social media.“It is somewhat a relief that no new positive cases have turned up. At the same time, it is highly essential that the authorities keep a tight vigil so as to contain the chances of a second wave of Nipah outbreak,” he said. 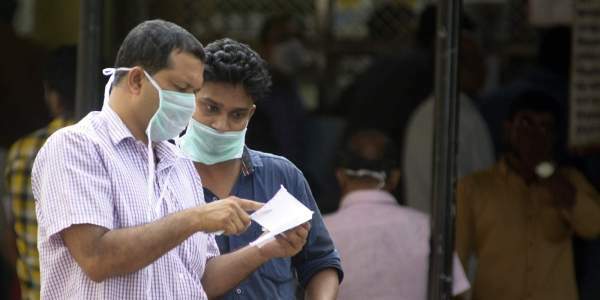 The timely intervention of the Health Department helped to keep the spread of the virus under control, he said.“When compared to other places where Nipah virus outbreaks have been reported, Kerala has the least casualty rate. This was achieved with the help of effective intervention of the Health Department,” he added. Meanwhile, Health Minister K K Shylaja said that because even a tiny oversight could snowball into a big crisis, health officers have been asked to maintain their vigil. “Though there is no need to panic at the moment, we are not taking any chances. The vigil will continue in Kozhikode and Malappuram districts till the end of this month. As part of the same, certain precautionary measures have been initiated and one among that is avoidance of mass gathering of any kind,” said Shylaja. Earlier, Opposition leader Ramesh Chennithala saluted the Health Department, saying it has made a laudable effort in containing the Nipah outbreak and extended his wholehearted support to the awareness campaigns and preventive measures being initiated in the affected areas. Apart from ministers T P Ramakrishnan, A K Saseendran and Ramachandran Kadannappally, chief secretary Paul Antony and health secretary Rajeev Sadanandan, the meeting was attended by MLAs, representatives of political parties and health officers.